“All Over the World” is an Emmy-nominated, reality/documentary television show that showcases missionaries and ministries that are reaching the world with the Gospel. Our goal is to encourage and excite a new generation of young people to get involved in missions, and to help missionaries and ministries like yours raise funds and share their vision. what are the benefits of being on AOTW? In a word – EXPOSURE! By being a featured missionary on AOTW, you will get international exposure on the Christian Television Network, the Cornerstone Network, DirecTV, and Dish Network with an estimated 50 million viewing potential households! Your show will air on all our network stations, and continue to air in rotation indefinitely. You will also be featured on the AOTW website with links to your ministry page, and receive promotional dvds to give to potential supporters. what is involved in shooting my feature? During the shooting schedule we would like to film you doing 2 - 3 “events” (you going somewhere and doing something) and have at least one of those events be an outreach event to the locals. Q: Do you happen to know a realistic number of viewers? Per month? Per week? A: Because Christian television networks generally do not subscribe to Neilsen (because of the huge cost), we do not know how many people actually watch the shows. Most Christian television programmers realize this, and gather feedback on the success of their show through viewer feedback via emails and increased donor support from people who mentioned they saw the show. Q: How many times per week would the video air on the networks AND your site? A: A new AOTW show will be available for viewing on our site forever. The television show generally airs 2 weeks in a row, and then goes into a rotation with the other programs. Missionaries who were featured on our very first shows are still getting exposure and donor interest. The airtime is indefinitely. The networks that we broadcast on have been gracious to renew their contract with AOTW every year...They want to help missionaries and ministries as much as possible. Q: I noticed on the list of air times, many were very good times and many were more overnight...how do you deal with this? A: But we try to get the best times, and they fluctuate. Q: How many unique viewers are your website? I assume we would have a direct link from your page to ours? A: The AOTW website averages 300+ Unique Visitors/ Month. Yes, we would put a direct link to from our site to yours. Q: Do you have any type of testimonial or someone we could talk to that has used your site to promote their mission? You can also click on any missionary picture here: http://www.aotw.tv/season-one.html or here http://www.aotw.tv/season-two.html, and feel free to contact them. They would be happy to tell you their experience. Just a few lines to say how very much I enjoyed having Ian with us filming our ministry in Guatemala. There is such a need to get out to the media, Churches, and just our Christian family who may not have been aware of what the Lord has us doing in far lands reaching the lost of this world. It would be impossible for me to get into so many homes to tell of what our vision is and let them see and hear just what we do and who we work with. So Ian I truly am so grateful for you and your vision to tell our story to the world. Mission Aviation Fellowship was pleased to partner with All Over the World about our ministry work in Kalimantan. Their fees are extremely reasonable – a fraction of what we would expect to pay for such quality work. 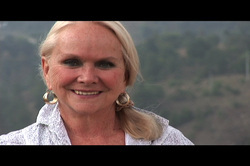 We now have a beautiful video that we can share with friends and supporters of MAF. We are already planning to shoot future All over the World episodes in other MAF ministry locations. 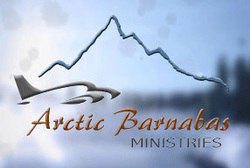 I want to take a moment to express our deepest appreciation for your work to film, edit, and produce a show about Arctic Barnabas Ministries in Alaska. It was truly a gift from your staff to us. We have always dreamed of having a quality video that fully captures this unique ministry. The kind of video production quality we often see on Discovery Channel, National Geographic Television, or the History Channel is out of reach for most non-profit ministries. Unfortunately, we often settle for less. However, you changed that for us and the other missionaries you have featured. All Over The World is completely top notch quality and frankly riveting for any viewer!